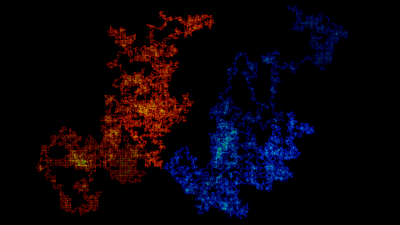 Random walks are one of the first graphically interesting programs that many people will make, having rules that are simple and immediate results makes it a great piece of low hanging fruit. I have written up a random walk every time I learn a new language and always felt a little underwhelmed at the results, usually an amorphous black blob with jagged edges, there has to be a way to make a random walk look a little nicer. I quickly had to add some limits to stop the program from writing off the edge of the screen and to stop the walk if it goes past a set number of steps, usually a few tens of thousands. 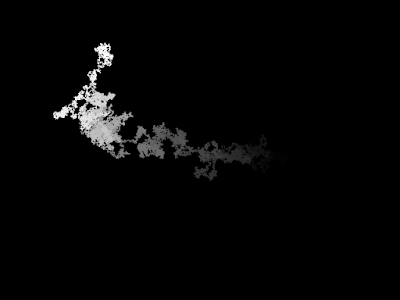 Then I made a 2D array the same size as my output screen, I used this to keep track of how many times the random walk visited each cell, and another array was used to keep track of the order in which the steps were taken. 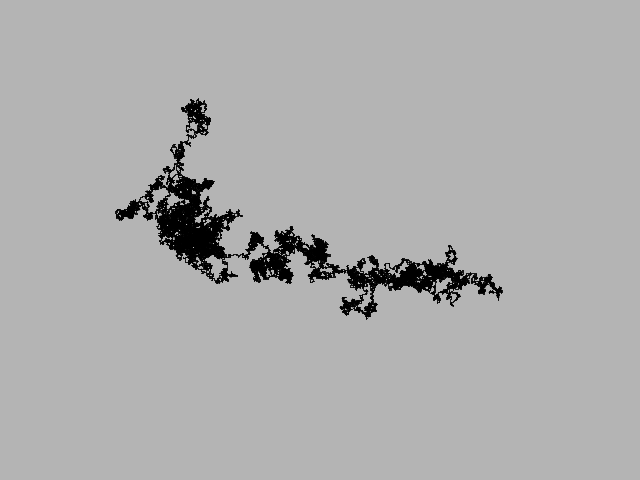 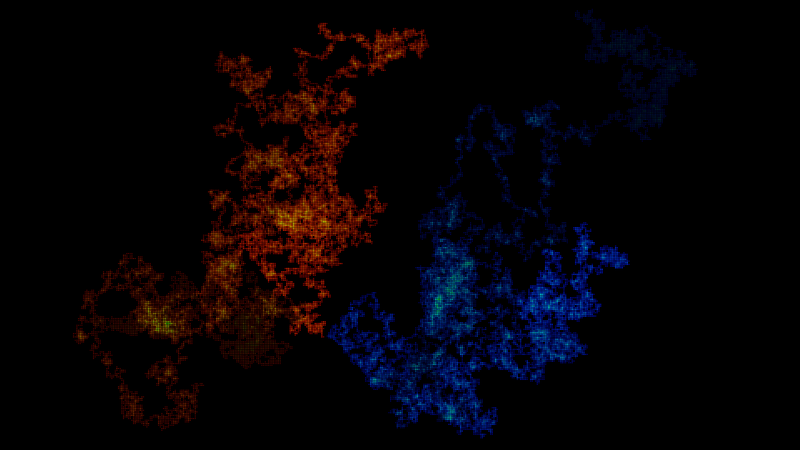 Now that I had some information about each step on the random walk I could use it to generate some more interesting output.